Even children can get in on the fun of historic reenactment. 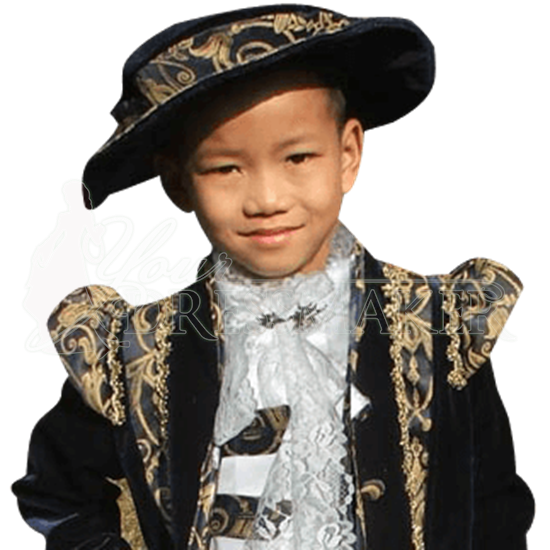 The Boys Renaissance Hat, made of high quality antique velvet and beautifully patterned brocade, is ideal for helping your child get the look of a regal young lord. 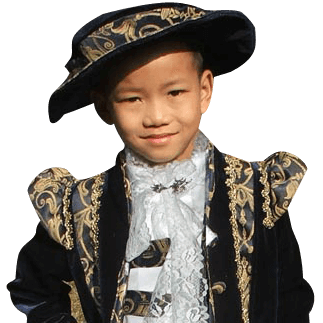 Handmade with skill, this Renaissance hat is sized specifically for children. Its wide, floppy brim and puffed crown are inspired by authentic historic styles, making it ideal for wearing to Renaissance festivals and medieval themed events. The underside of the brim and the top of hat feature the soft velvet fabric while the top of the brim and crown feature the ornate, floral brocade, lending this childrens reenactment accessory a regal look.